Click HERE for a comprehensive history of the event, including details of each previous year's celebration. 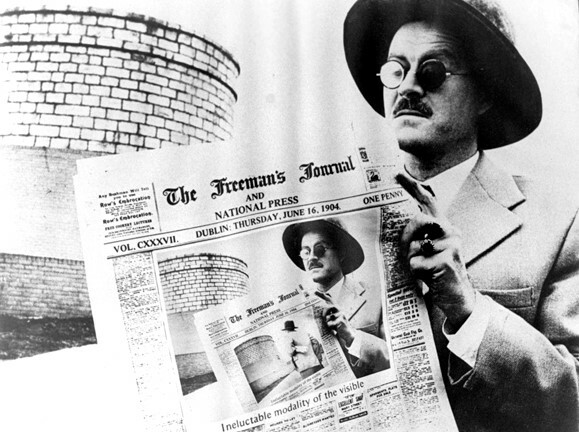 Inaugurated in 2009, our Bloomsday event is a unique celebration of James Joyce’s masterwork, and his contribution to First Amendment jurisprudence in the United States. Bloomsday – June 16, 1904 – is the day when the events of Ulysses unfold, but less well-known is the key role the book has played in the development of obscenity law in the United States. Smuggled into the country for a decade, it was the subject of a famous ruling by Southern District of New York Judge John Woolsey in 1933 that green-lighted the book’s publication while also delivering a resounding affirmation of literary free expression. The centerpiece of our celebration is the John Quinn Memorial Address, named after the prominent Irish-American lawyer who represented the publishers of the Little Review pro bono in their obscenity trial in 1921 arising out of their publication of chapters of Ulysses. Click here to read more about our prior celebrations and the First Amendment advocates they featured. Click here to read the address given by 2017 honoree David McCraw (Vice President and Deputy General Counsel, New York Times). Click here to read the address given by 2009 honoree Susan Buckley (Partner and First Amendment litigator at Cahill, Gorden & Reindel LLP). Special thanks to Max Froumentin for our homepage link image.